Not only is JoJo Siwa a YouTube celebrity and social media phenomenon, but so is her beloved pooch! Named for JoJo's iconic fashion bows, BowBow Siwa is a superstar in her own right, with more than one million Instagram followers! BowBow has her own stuffed animal likeness, and she and her dog-mom, JoJo, are dedicated to sparkles, bows, and everything cute. This photographic, full-color gift book will feature never-before-seen shots of BowBow and JoJo, giving fans an exclusive insiders' peek into the dazzling duo's daily lives. 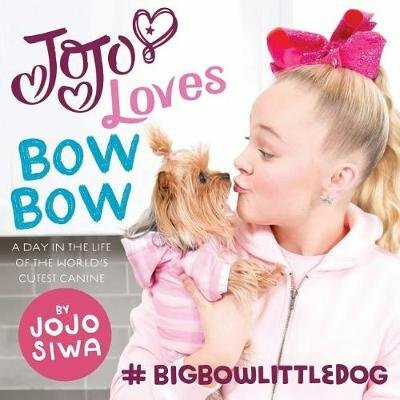 A perfect gift item, JoJo Loves BowBow will charm Siwanatorz and followers of Instagram-famous pups alike.